Are considerations of affirmative action ethical policies for a university to follow? This is the overriding question to be addressed in evaluating race-based decisions about admission to colleges and universities. I raise the issue because a federal appeals-court panel handed at least a temporary setback to critics of affirmative action last Tuesday by ruling that a race-conscious admissions policy at the University of Texas at Austin had passed a strict-scrutiny analysis ordered by the U.S. Supreme Court. Critics of the ruling might believe that the ethical principles of justice and fairness work against race-based policies because people should not be treated differently because of race. The ethical support for this kind of opinion holds that equals should be treated equally and unequals should be treated unequally. In other words if there are legitimate reasons to treat one group differently than another, then such treatment is justified. The problem with this argument is by saying one group (i.e. minorities) should be given preference over another group (i.e. whites) we give credence to the idea that certain groups are inferior because we then assume that the favored groups cannot reach the required level of achievement through their own efforts. Moreover, affirmative action policies lead to lower standards since some less qualified candidates will be admitted if race is allowed to override general standards applied to all. Opponents of race-based policies hold such views because they value the equal treatment of every person on the basis of common standards. It’s hard to argue this position from a fairness point of view. On the other hand, I believe a diverse population in colleges and universities add to all students’ experiences as they learn in their classes how some groups historically have been discriminated against. I believe the motivation for affirmative action is to right a past wrong and not to give one group preference over another in admissions decisions. The federal appeals court decision that brought to the fore the affirmative action policies of the University of Texas means that consideration of some applicants’ race are necessary to achieve sufficiently diverse enrollments there. In a 2-to-1 decision revealing continued disagreement among the judges over the appropriate standard for evaluating such policies, the panel of the U.S. Court of Appeals for the Fifth Circuit In response to an overwhelming Supreme Court decision Supreme Court decision that faulted the Fifth Circuit’s previous endorsement previous endorsement of the undergraduate admissions policy as too deferential to the university, the two judges in the majority said the policy withstood stricter scrutiny than applied before. The appeals-court panel affirmed, for a second time, a 2009 summary judgment by a U.S. District Court dismissing the lawsuit brought by Abigail Noel Fisher, a white applicant who had accused the Austin campus of illegal discrimination after being denied admission as a freshman the previous year. The ruling Tuesday’s ruling in the case, Fisher v. University of Texas at Austin, almost certainly does not mark an end to the legal battle over the policy. the legal battle over the policy. The Project on Fair Representation, an advocacy group that brought the lawsuit on Ms. Fisher’s behalf, said it expected to appeal the decision all the way back to the Supreme Court, if necessary. “This panel was proven wrong last year by the Supreme Court, and we believe it will be proven wrong once again on appeal,” said Edward Blum, the organization’s director. Judge Emilio M. Garza, the dissenting member of the Fifth Circuit panel appeared to lay some of the groundwork for an appeal with an opinion arguing that the majority had again failed to treat the university’s assertions with sufficient skepticism. In that ruling the U.S. Supreme Court ruled, 6-2, that Michigan voters have a right to amend their state Constitution to ban racial preferences in admissions at public universities. In so doing, the court affirmed laws in eight states that have 29 percent of America’s high-school population and more than 40 percent of its Hispanic residents. A new report by the Century Foundation and the Lumina Foundation, suggests, however, that the concerns of both justices can be met: Alternatives to race-conscious affirmative-action, if properly structured, would produce more diversity than just concentrating on race. According to a chapter by Anthony P. Carnevale and his colleagues at Georgetown University in the new report, The Future of Affirmative Action: New Paths to Higher Education Diversity After Fisher v. University of Texas, using socioeconomic preferences and/or plans that admit a top percentage of students from every high school, if structured properly, could produce even higher levels of black and Hispanic representation at the most selective colleges than racial preferences now achieve. That approach would work because it reflects economic disadvantages that are often shaped by racial discrimination. In Schuette, Sotomayor wrote that preferences provide the only realistic path to racial inclusion in higher education, correctly noting that race-neutral alternatives have failed to produce adequate diversity at three high-profile institutions—the University of Michigan at Ann Arbor, the University of California at Berkeley, and the University of California at Los Angeles. In virtue ethics, motivations are an integral part of the ethical equation. If we can say the motivation for race-based decisions is the inherent goodness of such policies, then the Fisher ruling is ethically supportable. On the other hand, doesn’t Fisher have an ethical right to be given preference based on higher achievement of admissions criteria (i.e. SAT scores)? Doesn’t the University of Texas have an obligation to Fisher to admit her because she was more qualified and denied admission based on socio-economic factors that enabled less qualified candidates to be admitted? These are difficult questions to answer. I am conflicted because each argument has some merit. As a college professor I have seen first-hand how having a diverse population in my ethics class adds value to the learning experience of all students. On the other hand I can understand the position of a student denied admission because other considerations allowed another student to be given preference for whatever reason. Blog posted by Steven Mintz, aka Ethics Sage, on July 22, 2014. 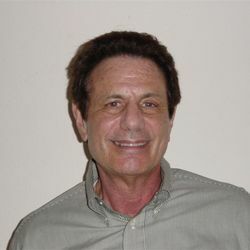 Dr. Mintz is a professor in the Orfalea College of Business at Cal Poly, San Luis Obispo. He also blogs at: http://www.workplaceethicsadvice.com.